ISSAQUAH, WA – January 18, 2019 – Rakuten OverDrive, a digital reading platform used by KCLS, named King County Library System as the U.S. leader—number 3 worldwide—of its eBook and audiobook downloads. KCLS had 4,864,178 million checkouts in 2018, a 23% increase over 2017. These circulation statistics illustrate the continued growth and importance of library digital lending. A valid KCLS library card or eCard gives patrons access to KCLS’ online collection, which includes streaming music and films, eBooks, online magazines, research databases, exam-preparation tools, online classes, and much more. Read the full Rakuten OverDrive news release here. Founded in 1942, the King County Library System (KCLS) is one of the busiest public library systems in the country. Serving the communities of King County (outside the City of Seattle), KCLS currently has 49 libraries and more than 700,000 card holders. In 2011, KCLS was named Library of the Year by Gale/Library Journal. 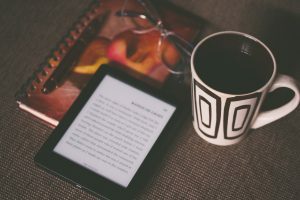 In 2018, residents checked out more than 4.8 million digital eBooks and audiobooks through Rakuten OverDrive, making KCLS the #1 digital circulating library in the U.S. and #3 in the world.